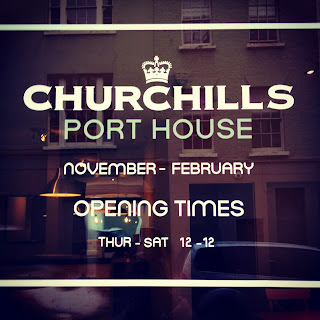 Churchill's Port House is a new Thursday - Saturday pop-up in Soho, running from November to February, in Greek Street, where the Bay of Bengal Indian restaurant used to be. It's bookings only - details below - but you may also be able to get in as a walk-in. 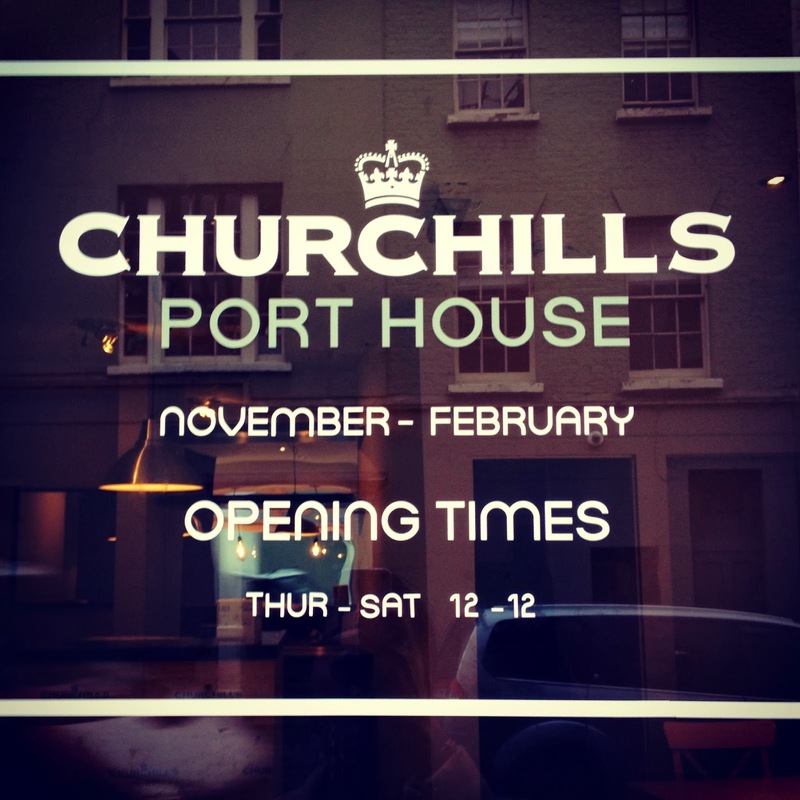 "Churchill's Port House is London's first pop-up port bar, serving a variety of ports & wines carefully paired with tapas dishes. The Churchill's Port House is brought to you by Churchill's Port. Founded in 1981 by John Graham, Churchill’s was the first British Port wine company to have been established in over 50 years."